http://www.advancingjustice-alc.org/55 Columbus Avenue San Francisco, CA 94111(415) 896-1701Clinic: 1st & 3rd Tuesdays at 5.30pm. Please call to schedule an appointment. Advancing Justice-Asian Law Caucus is committed to an immigration system that keeps families together and does not determine a person’s value by their immigration status or whether they have been incarcerated. Recognizing that incarceration, immigration detention, and deportation separates families, we focus our legal services on the most vulnerable in the Asian American and Pacific Islander community — immigrants facing deportation due to criminal convictions. The hundreds of clients we serve each year enables us to quickly identify emerging problem areas and to respond effectively through impact litigation, community education, and advocacy. We provide free legal consultations for low-income San Francisco residents, and low-income residents of any county who are facing deportation. Please bring proof of your income and any documents related to your questions. Kevin is a staff attorney in the Immigrant Rights Program. Prior to joining Asian Law Caucus, he worked on counter-terrorism human rights issues with Reprieve in London, assisted LGBT refugees and asylum seekers with ORAM, and led labor campaigns in Southeast Asia and the American South with the United Auto Workers. 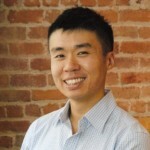 Kevin grew up in San Francisco’s Chinatown, and after graduating from UC Berkeley, he received a law degree from Stanford Law School. While at Stanford, Kevin worked with the Immigrants’ Rights Clinic and the Timor-Leste Legal Education Project, where he co-authored the first textbook on Timorese Constitutional Law. Kevin speaks Cantonese and some French.